Carlos Mérida, Self Portrait, 1935. 100 years after the arrival of Carlos Mérida in Mexico, the exhibition 'Carlos Mérida. 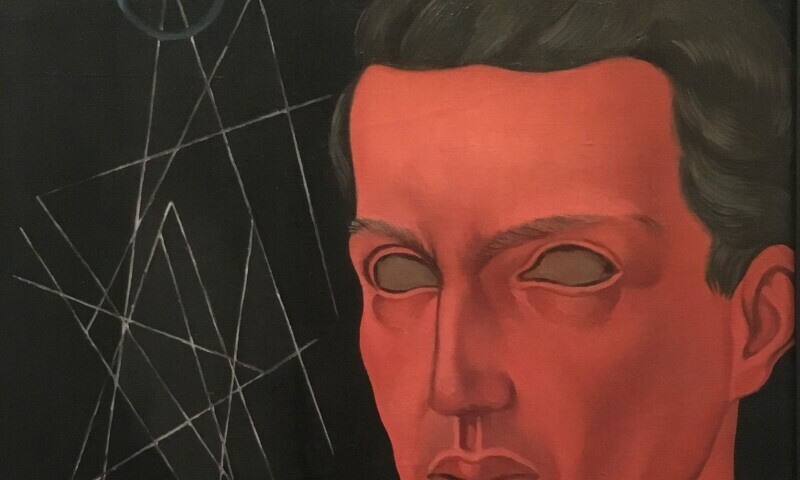 Written portrait (1891-1984) 'seeks to present the most complete retrospective of the work of the Guatemalan artist, guided by his own voice, extracted from his autobiography. The curatorial proposal will allow the public to move between their personal life, their creative process and the artistic affinities that they built during their stay in our country until his death in 1984. The exhibition observes a character of documentary research based on the study of four archives that make up the universe of the artist. A multi-faceted life, full of experience, lines notes, rhythms, color, which are given by the different creative stages of the Guatemalan painter.